Yesterday I decided to take a break from the smoothies. I don’t know if my body was reacting poorly to the weekend of fun and not eating normally, or if it was reacting because I had two smoothies on Sunday. One way or the other, it wasn’t very happy. Since I had to be at work yesterday, I thought it would be a good idea to stick with the basics. 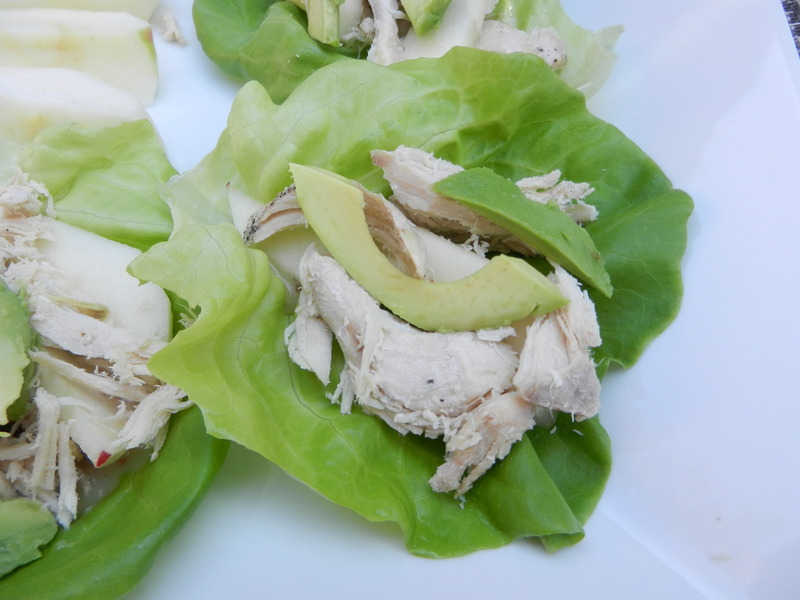 Delicious basics. Cream of Wheat with cinnamon, banana, and stevia in an almost empty peanut butter jar. The hot cereal makes the peanut butter melt off the sides. It is so so good. I scraped this bad boy clean. The protein, fat, and carb combo did a great job of holding me over until lunch time. 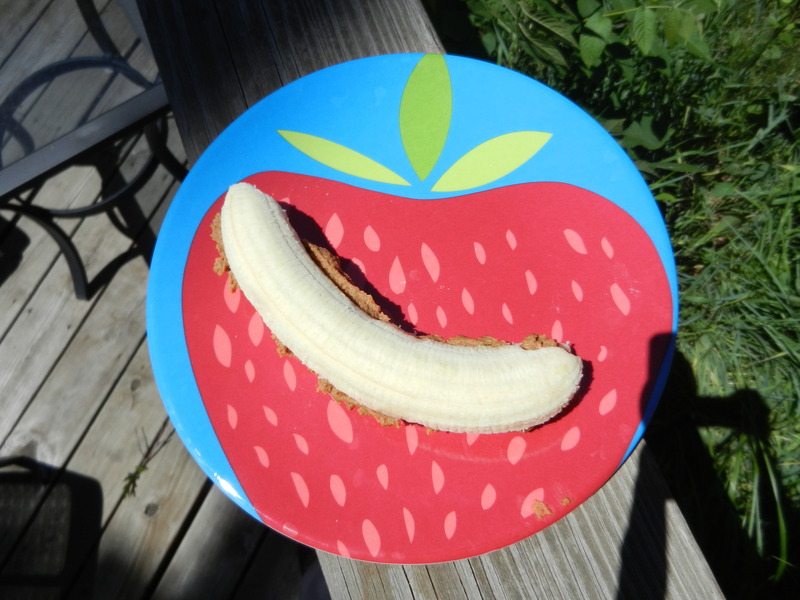 At lunch I came home and made myself a PB2 banana sandwich and served it on possibly the cutest plate I have ever laid my eyes on. Target boutique really knows how to make me happy. 😉 This plate was $1.79 I think; well worth it. I have another one to show you soon too! 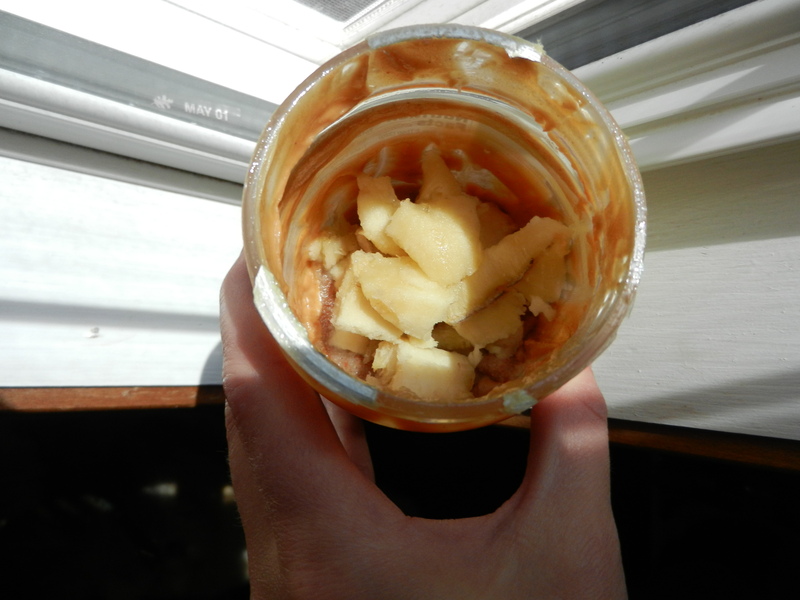 I also ate some pretzels and cheesy crackers with hummus and a piece of dark chocolate. Then back to work. After work I headed straight to the gym even though all I wanted to do was lay outside on the deck under the beautiful sun. I brought an issue of Fitness magazine and read it from front to back while movin’ it on the elliptical. It felt great to move yet I kept it a fairly relaxing workout. I was still sweating through it! I think I have decided that Fitness magazine is currently my favorite magazine. I love reading all of their recipe ideas, workouts, and tips on healthy living. Anyway, I headed home to hang out with the boyeeze. 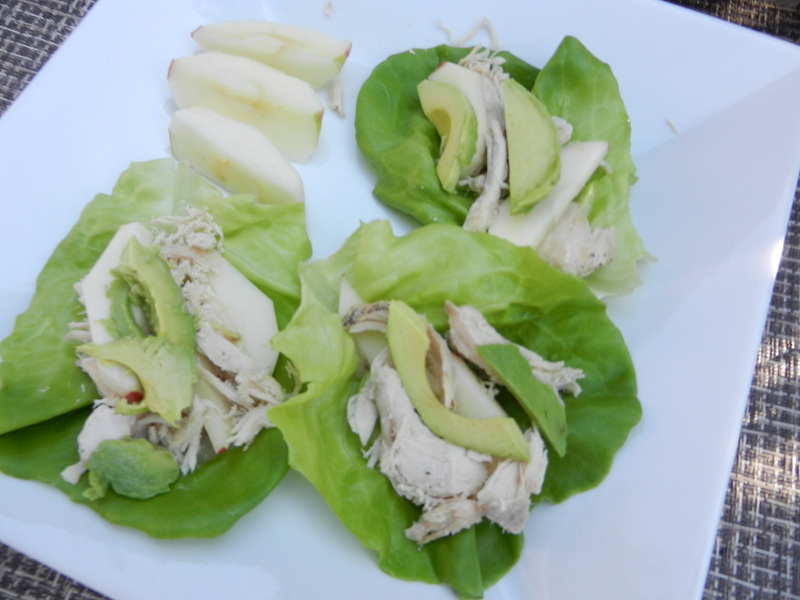 On the menu for dinner: lettuce wraps with pulled chicken, apple, avocado, and Newman’s Own Lite Honey Mustard. 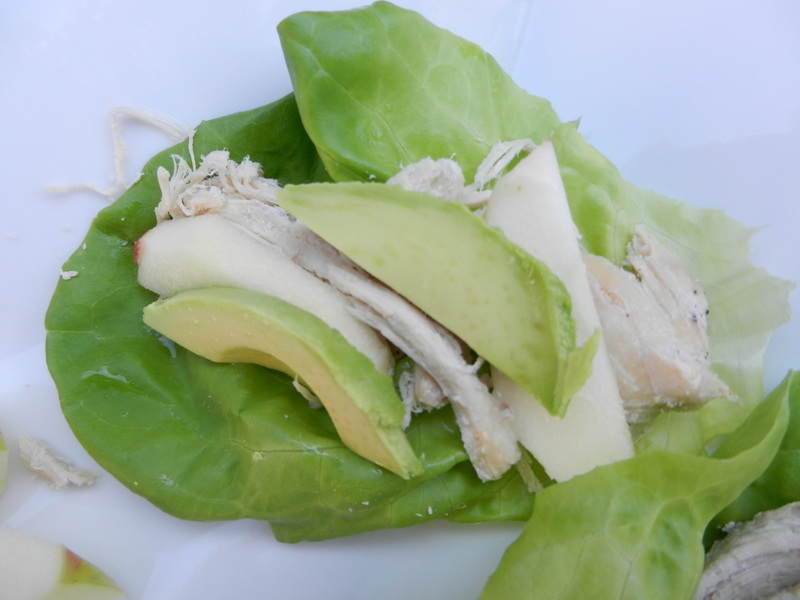 I loved all of the different textures and the sweetness from the apple and honey mustard with the slightly salty chicken. 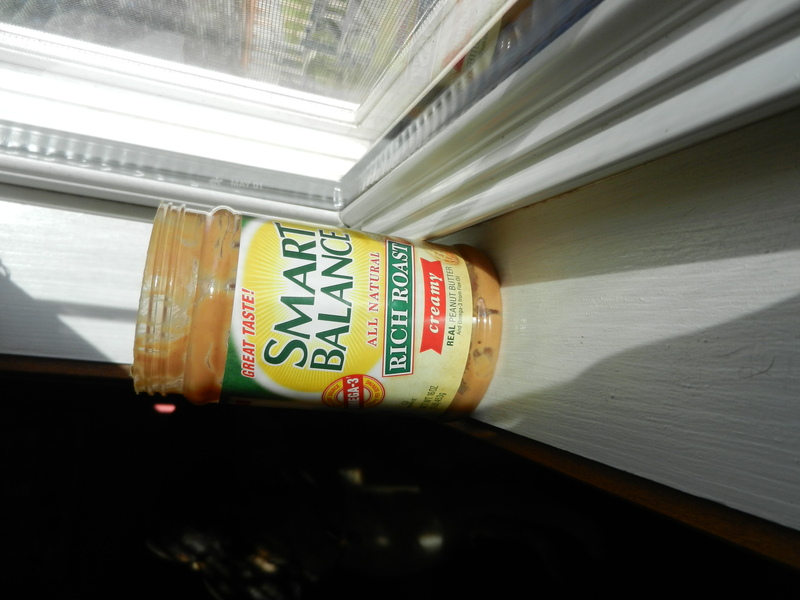 After the lettuce wraps I got into the peanut butter again. Yup, you read it right, peanut butter for the third time, this time with pretzels (Hales I thought of you while snacking on this one). I just couldn’t keep my paws off the peanut butter yesterday. 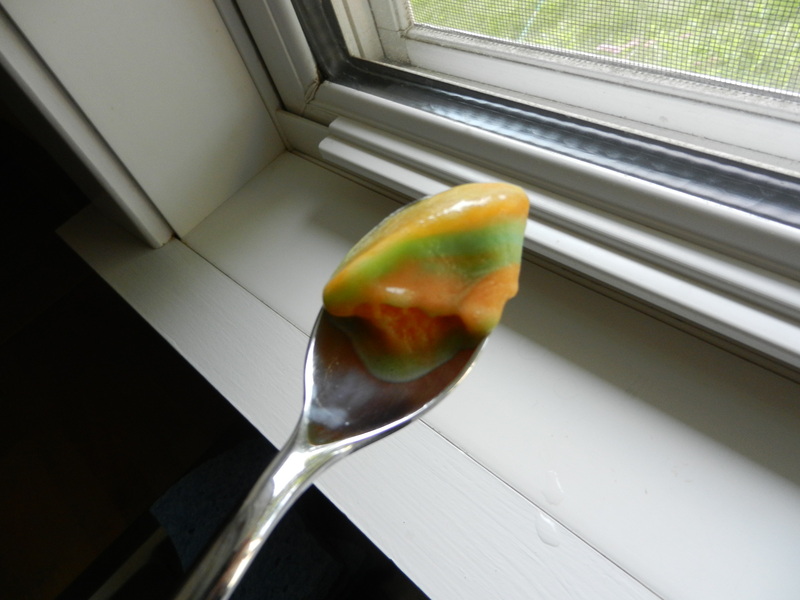 And since I’m being totally honest, I’ll go ahead and tell you I also had a few bites of rainbow sherbet and a lemon cookie. After dinner I still had quite a bit of energy to burn, so made my way down to the treadmill and walked my way through the Bachelorette. Well, part of it at least. I am such a huge Sean fan still. I am really hoping that Emily falls for him and they can live happily ever after. Once again I got roped into watching this season. They always get me somehow. I am off to tackle some To-Do’s. Catch up with all ya’ll later! Have a great day. Do you have a guilty pleasure show? What is it? Besides The Bachelorette, I find myself getting sucked into Keeping Up with the Kardashians every once and a while if it’s on. Those are my guilty pleasure shows, and now you all know! 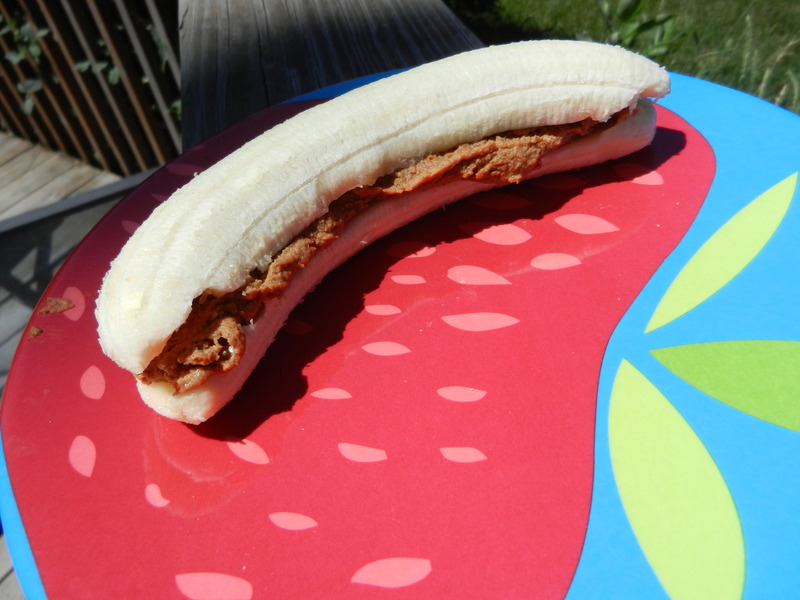 This entry was posted in Breakfast, Dinners, Lunch, Sweet Treats, Workouts and tagged Bananas, Cereal, Newman's Own, PB2, peanut butter, Veggies by Melanie. Bookmark the permalink.